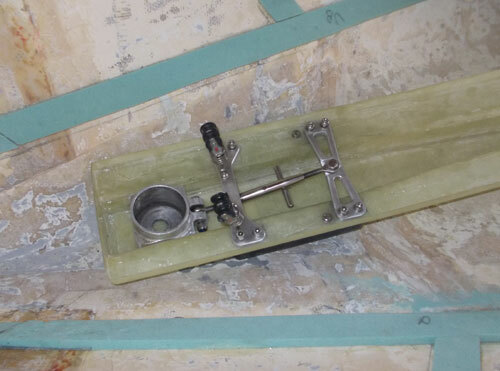 We have designed an alternative method to locate the Finn mast heel bearing fitting in the boat. 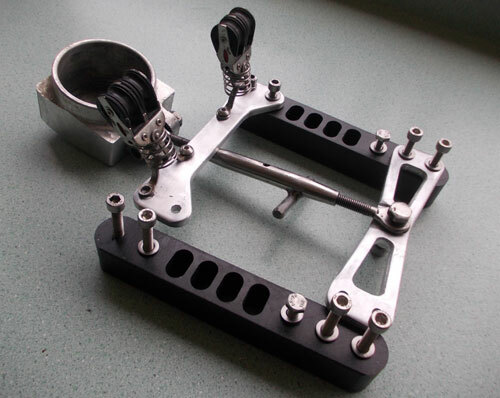 The heel bearing cup features a curved base that enables the mast heel bearing to be at the correct (and non binding) angle irrespective of the fore and aft rake. Perfect alignment is assured at all times and the mast rotates without effort. Two versions are available to suit your requirement. Either of these fittings save weight, and are easy to install in any Finn refit programme. 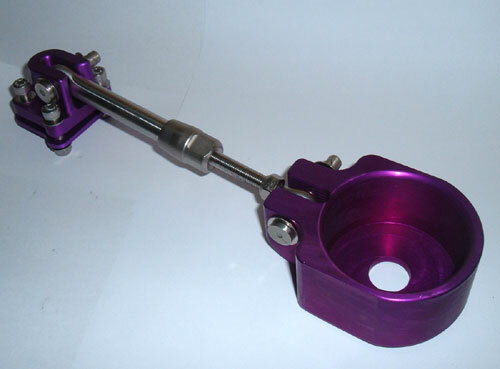 Cups are machined from 6061 grade aluminium with 8mm pins and 6mm mounting bolts. 74mm wide with an internal bearing surface diameter of 64mm and a depth of 40mm. 8mm Rigging screw for adjustment. 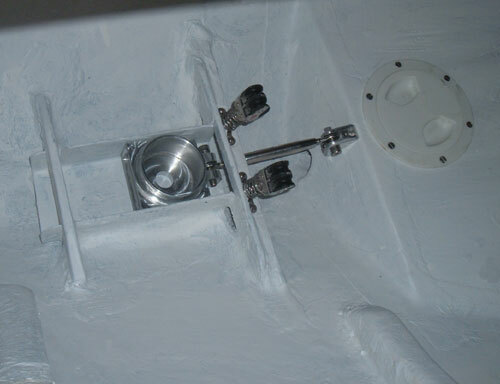 Mast heel bearing cup, rigging screw adjuster and mounting bracket and a typical installation. 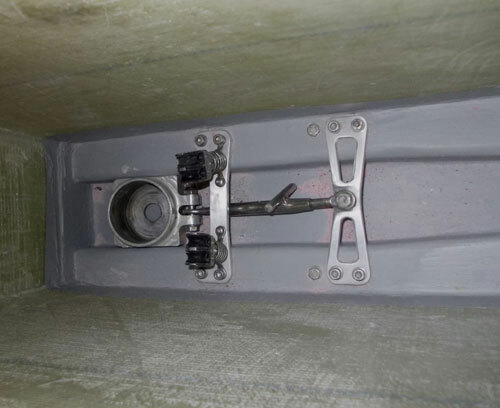 Mast heel bearing cup, alloy cross plates, acetal plastic backing pads, control rope pulleys, rigging screw adjuster in a typical installation. 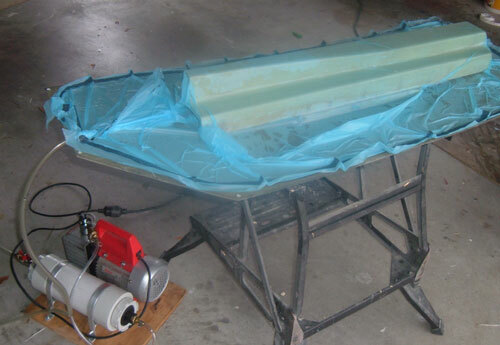 We can design and manufacture the molds and fabricate new fibreglass or carbon fibre components to suit. 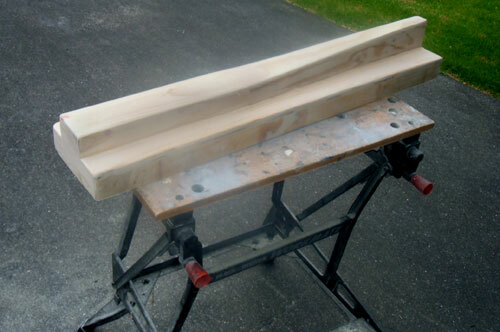 And bring your boat into our workshop to rip out the old and install the new.